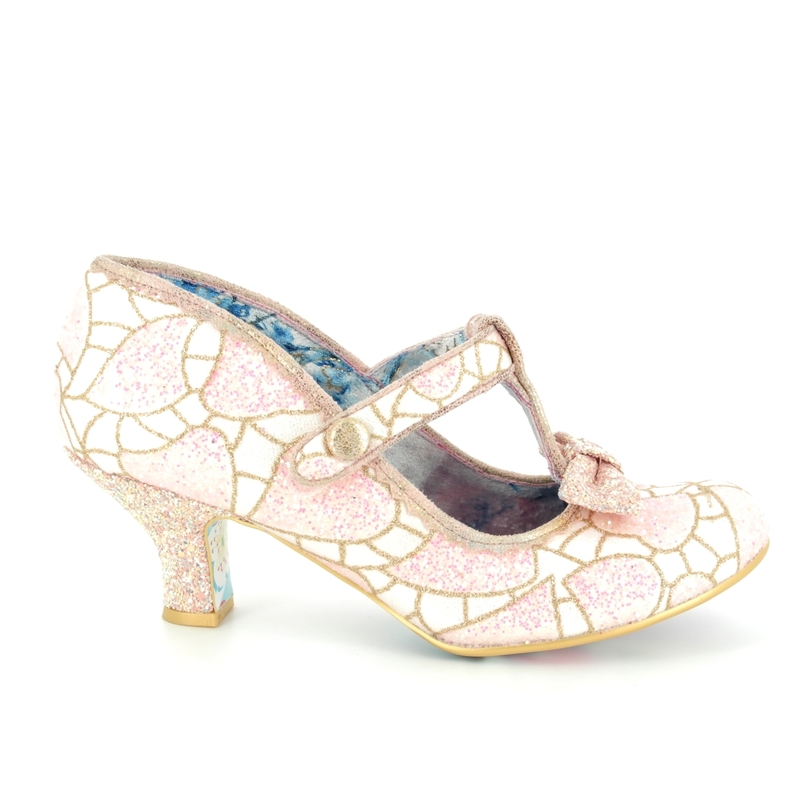 Irregular Choice have brought back this popular style in a gorgeous new mix of colours and sparkles. 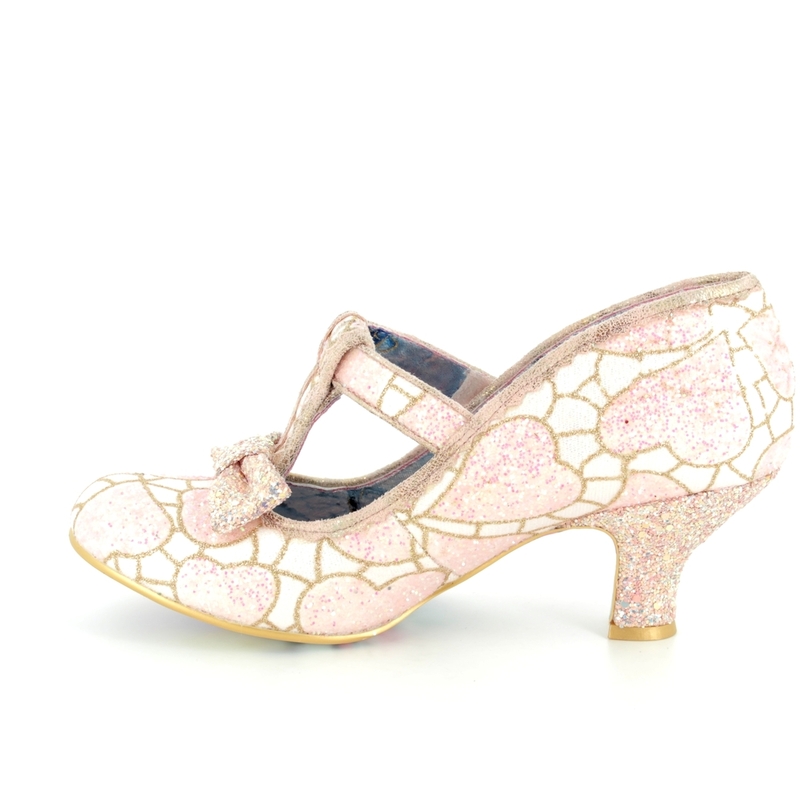 The 4136-12L Lazy River is a mid heel height of 6cm for more comfort. 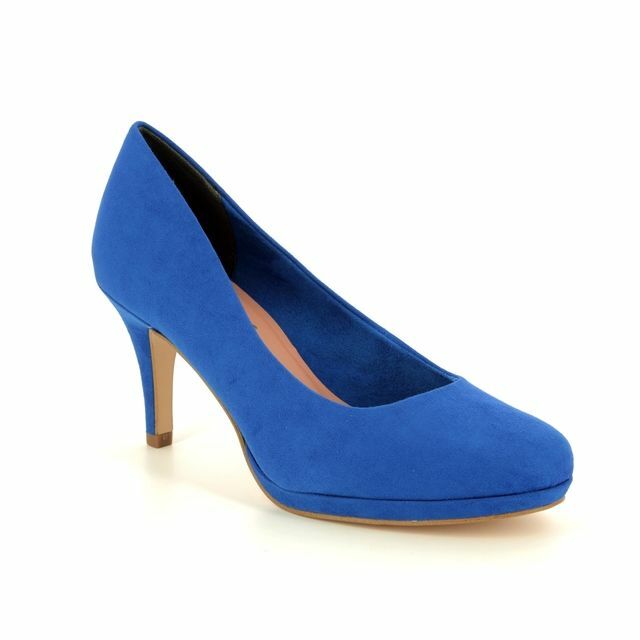 These heels are a classic style of shoes to give you a beautiful glittering make over. 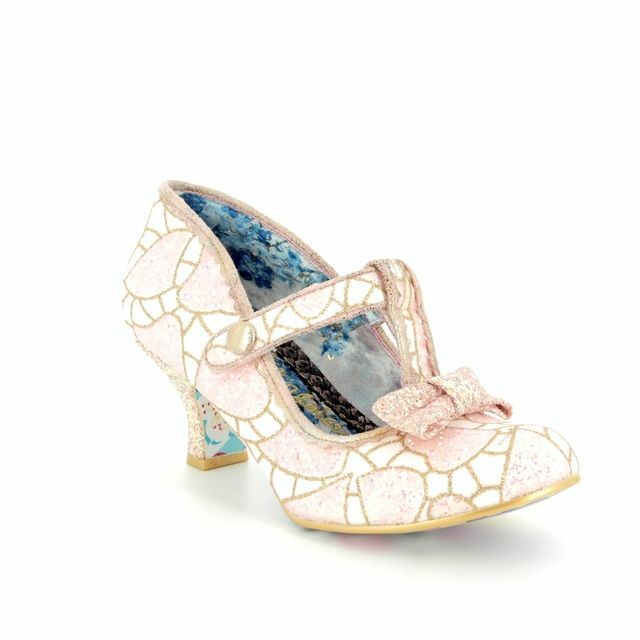 They have a gorgeous stained glass effect and there is a matching bag available. 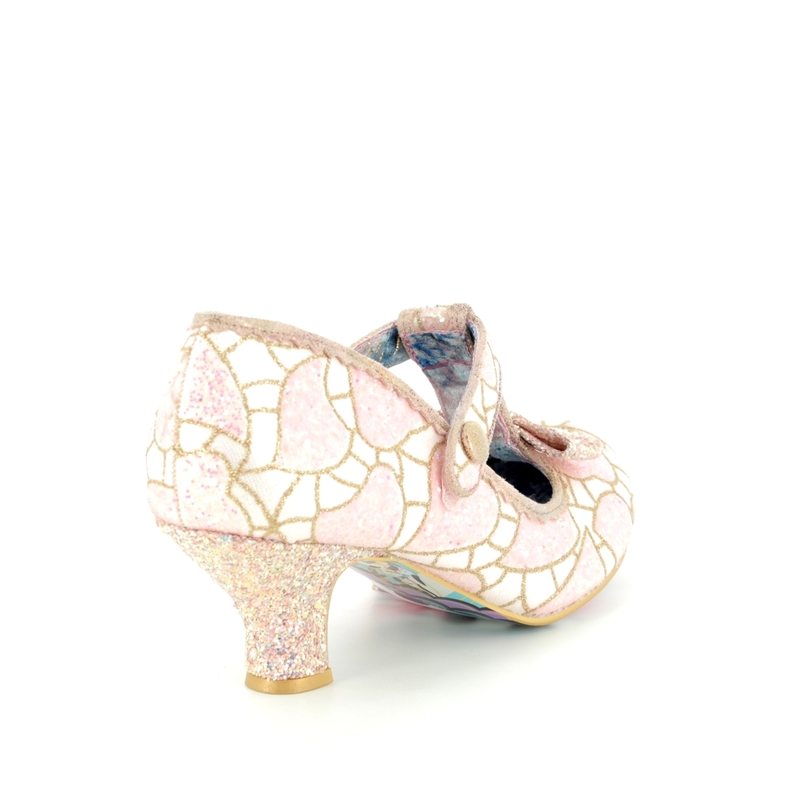 The upper has a mix of a floral and heart pattern and have an encrusted glitter heel. 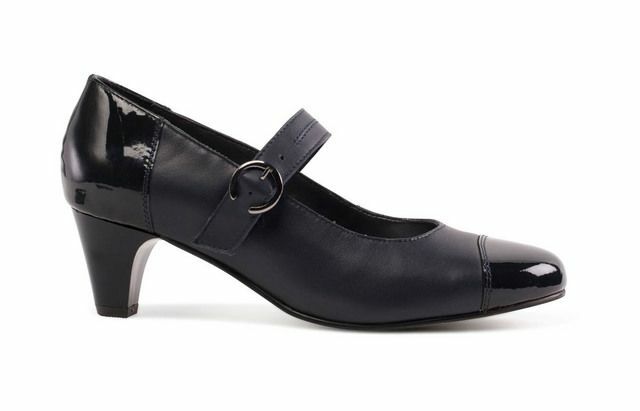 The t-bar allows you to securely fit the shoes making them perfect for a night out dancing. 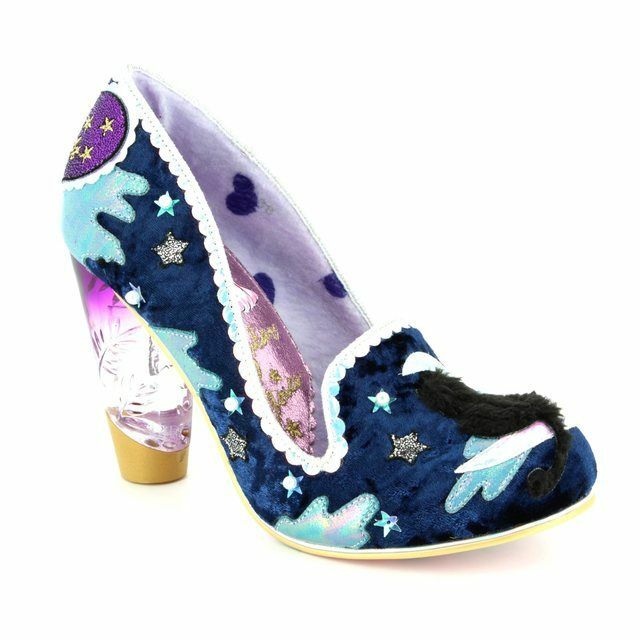 Begg Shoes is an official stockist of Irregular Choice and our full collection is available online and in store.